If you are planning to get your wedding venue decorated in a unique way and based on a distinct, yet sober theme, consider wedding ribbons. 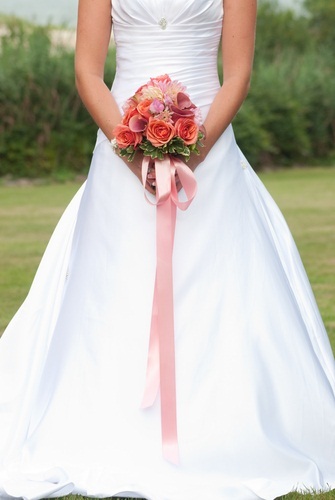 Ribbons of numerous colors make your big day filled with real colors which never wear off. You can use these ribbons in your wedding in several places to create a ribbon-based theme for your wedding. Here are some ideas. Ribbon wedding bouquets are fantastic and prove that you don’t need a lot of flowers for your wedding. You can use ribbons for making ribbon flowers of the bouquet, or can decorate the flowers by wrapping ribbons around each of them, or can use ribbon as a long tail for the bouquet which will make you look slimmer and taller. 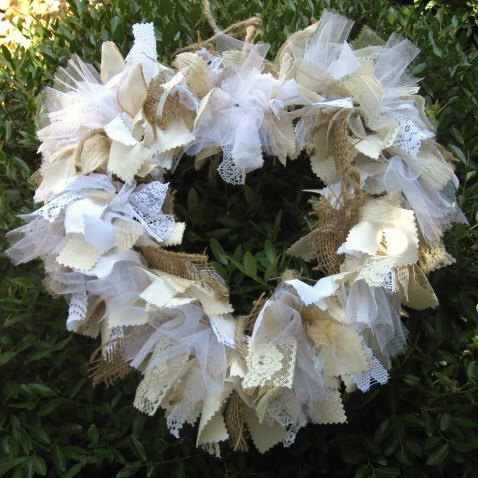 Wreath is always a fabulous piece of a wedding decoration. It hangs on the door and creates a welcoming and pleasant atmosphere for the entering guests. You can have superb wreaths made from ribbons of your choice and show your totally different eclectic taste. Are you planning a garden wedding? 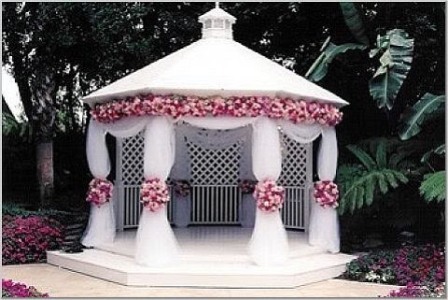 Ribbons serve as the best material to decorate your gazebo! You can choose numerous colors or one single color of ribbons and create a beautiful belvedere for the magical moment. 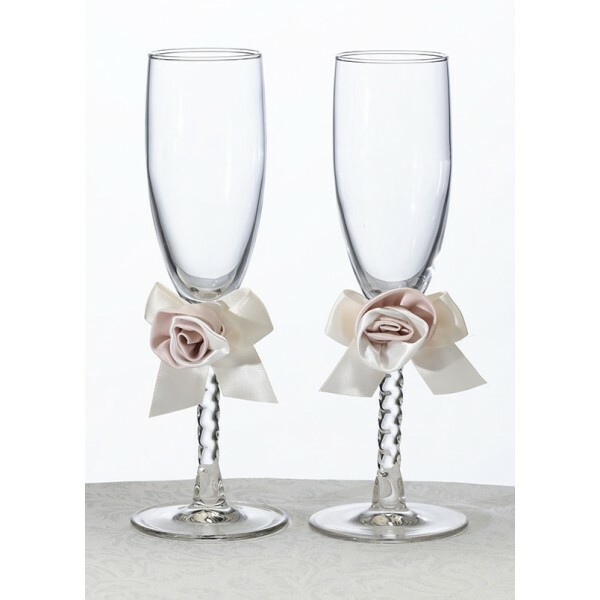 Ribbons can decorate wedding Champagne flutes in a fabulous way. Champagne flutes are important constituents of your big day and so should be appropriately embellished, and wedding ribbons do the job just perfectly. 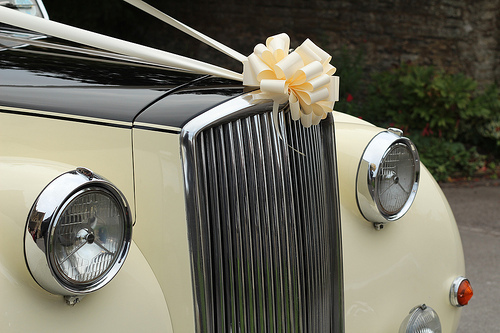 Another use of wedding ribbons for adorning your special day is decorating the wedding car. You can not only decorate the main car transporting you, but also wedding guests’ car to show that they are going to attend a wedding. It is an elegant yet cost-effective way of wedding car decoration. 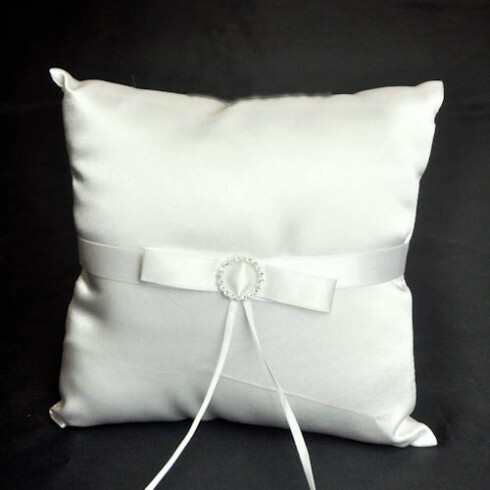 A ring pillow is an excellent way to display wedding rings and you can make it even more excellent by decorating the pillow with wedding ribbons. 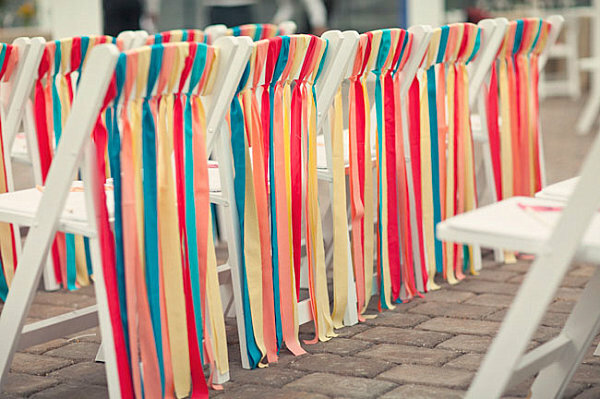 Make your guests seated on colorful chairs decorated with ribbons of innumerable colors! A simple chair can be transformed into a very special one, with the magic of ribbons. 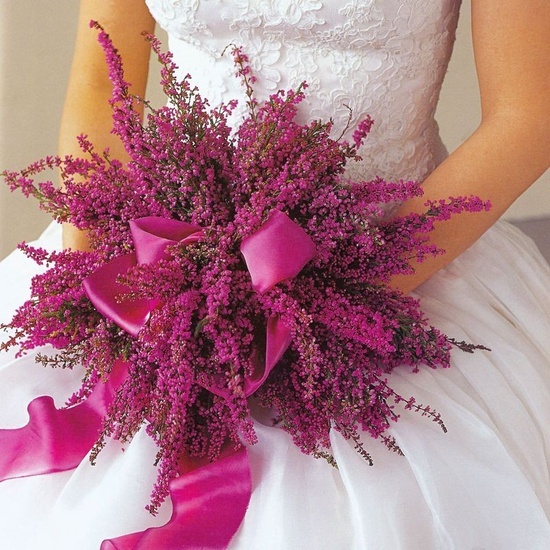 Flower girl is an important and interesting guest on your wedding. She spreads flowers on the aisle with her sweet tiny hands. However many churches and other wedding venues put restrictions on dropping fresh flowers on the aisle, because they stain floors and carpets, make floors slippery causing liability issues and become messy while cleaning afterwards. In this scenario, ribbons can come to your help. 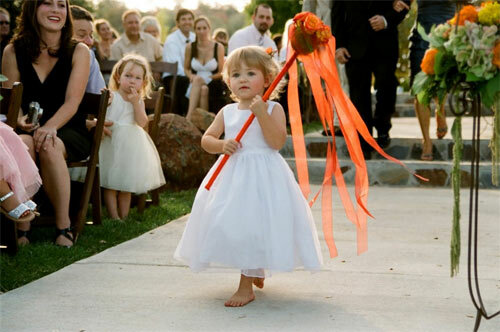 Instead of fresh flowers’ basket, you can handle a wand decorated with fresh or ribbon or silk flowers to the flower girl. You can also add long ribbon tails to the wand to offer a special touch. Similarly, you can also use ribbons for making Posey ball and other bouquets. A ribbon theme will make your big day even more special and you and your guests will remember it for years to come.